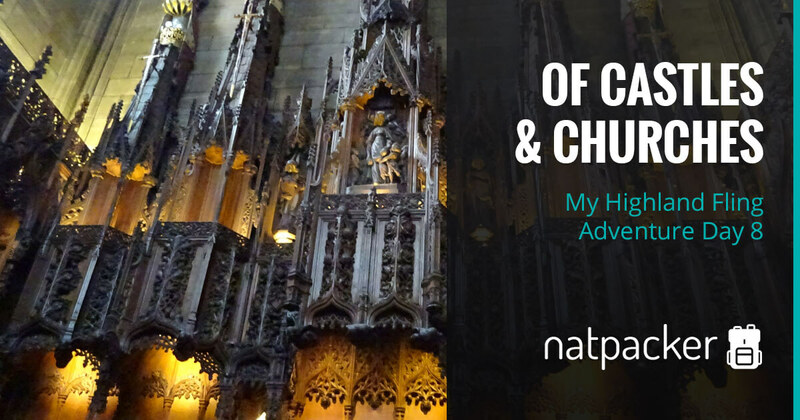 My Highland Fling Adventure Day 9 is the last day of this adventure. 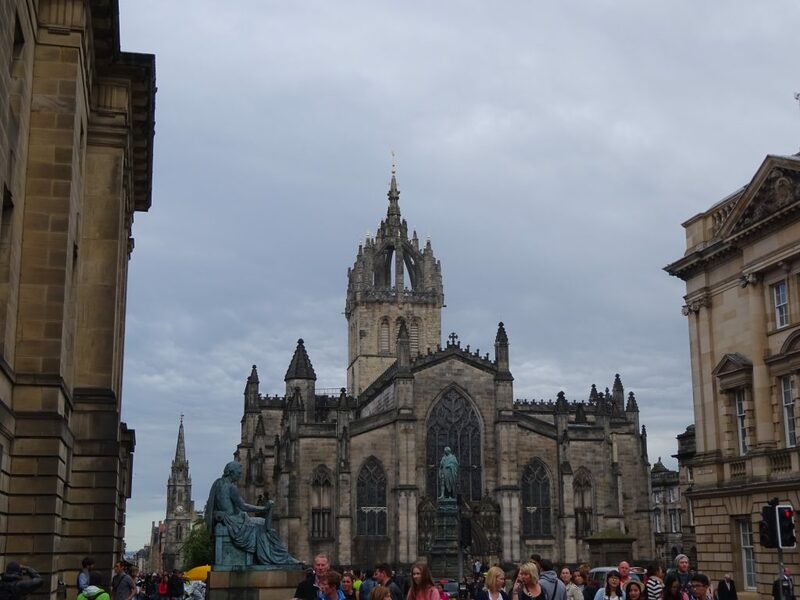 But we still have a good few hours in Edinburgh to explore some more! And we meet up again with friends from the Macbackpackers tour. Me, Dave, Bunny and Chrissy checked out of Malone’s hostel and set off together. Chrissy had arrange to meet up with Meagan, as they wanted to do some shopping. The three of us weren’t going to join the shopping trip, but wanted to meet for lunch, so we went with Chrissy. 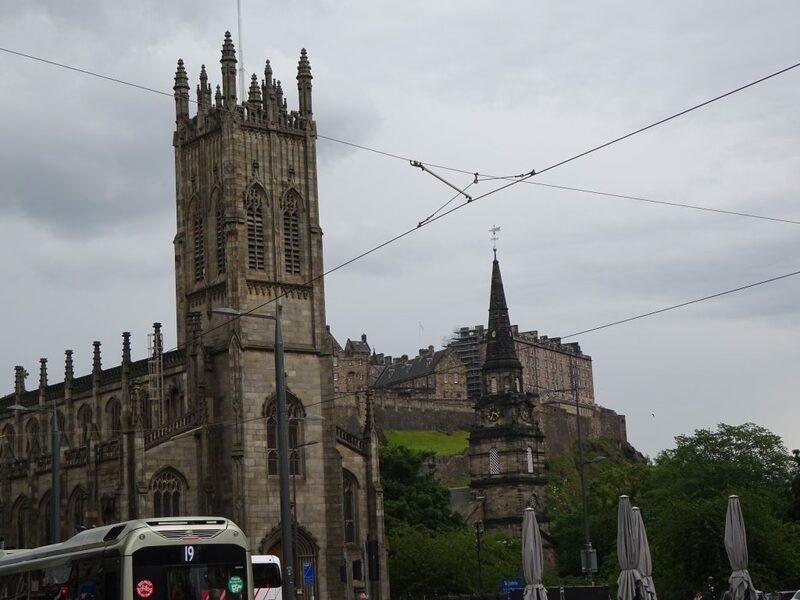 We met at St Giles Kirk and arranged to meet for lunch. Then we said “See you later” and me, Dave and Bunny left them to their shopping. It was decided to hunt for the seventeen dolls that were found in Arthurs Seat. We’d heard about these from Eion on the Sandemans Dark Side Tour (Day 2). He told us that they were in the Museum of Edinburgh. 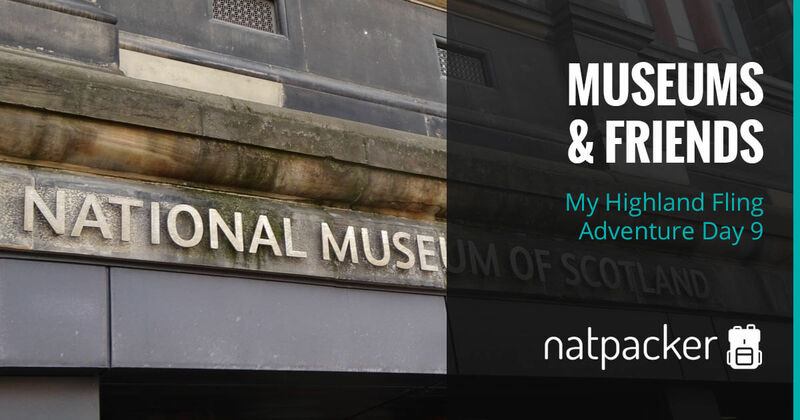 Since we couldn’t get into the Museum of Edinburgh, we decided to head to the Museum of Scotland instead. This museum is massive! We spent a bit of time in the animal section (due to me) and they have some impressive displays. We then headed over to a history section, and ended up in the kids area… It was brilliant! We got to dress up as a knight, play with catapults and just generally be big kids! The section was about medieval life and it was really good, not just for the kids games! The museum is a bit of a maze if I’m honest, and at this time they were doing some work, making it even more of a maze! But somehow we ended up upstairs and in the animal kids section. Once again, great fun! Although the queen in the ant farm had died, so it was covered up as all the other ants were likely naturally die without a queen. Bit sad really. My favourite memory from this was when I put everything I knew about conservation to the test. 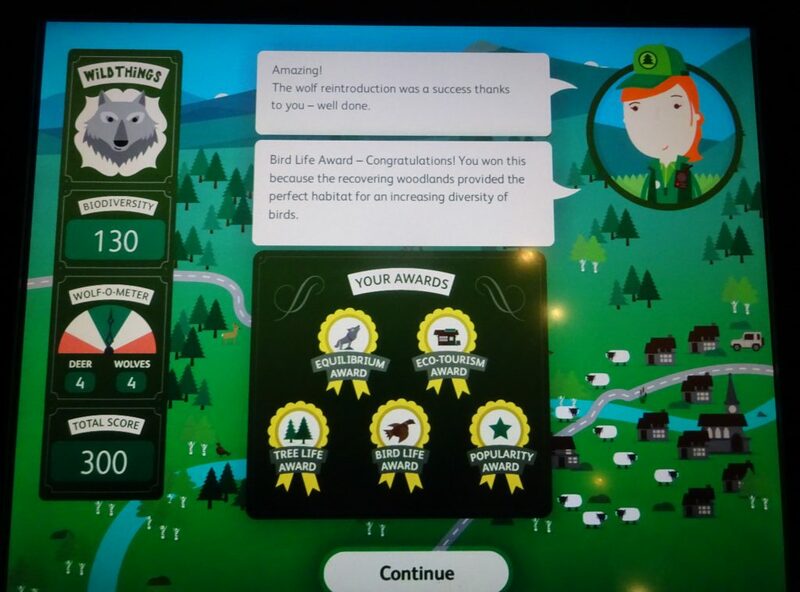 There was a game about reintroducing wolves into Scotland. You had to choose the number of wolf packs, place them in the correct area, then decide how to have human intervention, if any. And I got the high score! I should so be put in charge of the reintroductions. Fact! After my discovering my amazing knack for reintroducing wolves into Scotland, it was time to meet the others for lunch. We were meeting in Yo Sushi in the New Town. This was my first time at Yo Sushi, as I tend to avoid chains. But I will admit it was good, if a little expensive in my opinion. However, the view from Yo Sushi is just beautiful. It may be the best restaurant view in Edinburgh. You basically look up into the Old Town, amazing. Me, Dave and Bunny still had a bit of time before our train, so we went for a wander. We ended up walking through Princes Street Park, which was nice. It’s very long! 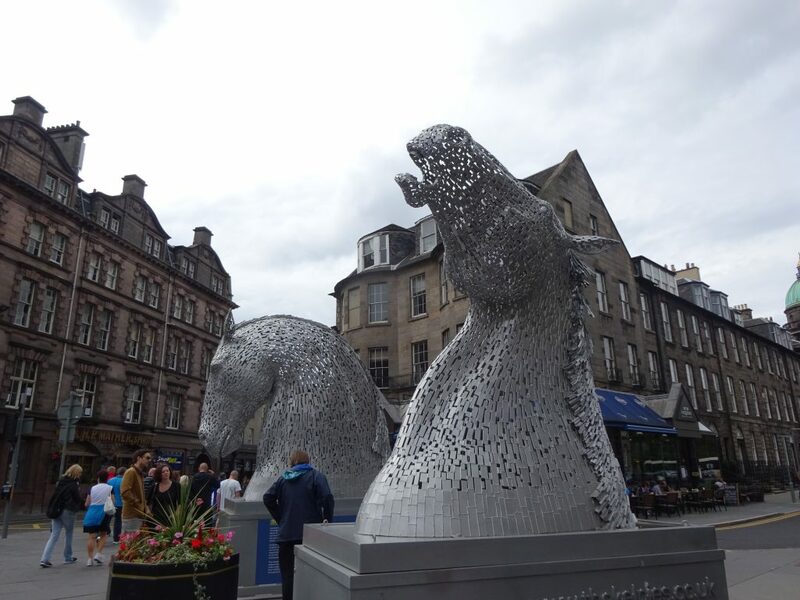 When we came out we found miniature versions of the Kelpies that we’d seen from the Macbackpacker bus near Falkirk. And that’s the end of My Highland Fling Adventure!